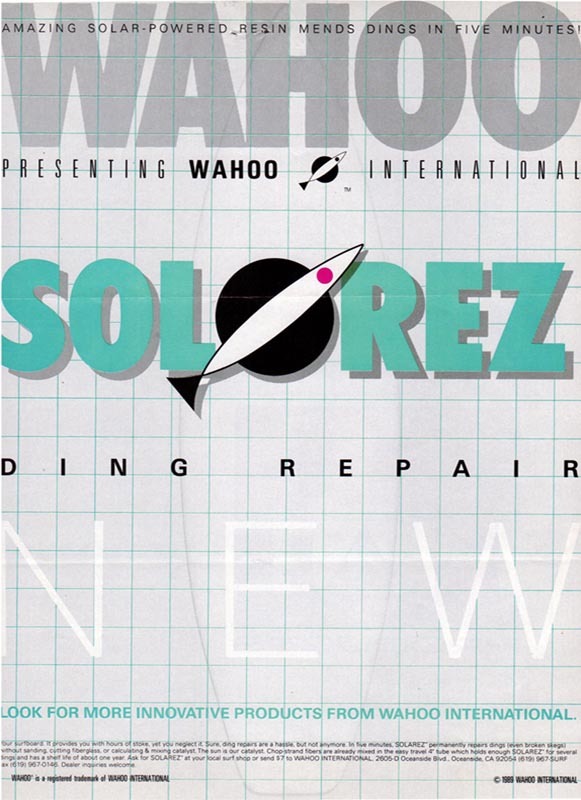 In 1985, Wahoo International (makers of Solarez®, LifeSled® and Bullyboard®) began, making composite surfboards and bodyboards. We utilized “unconventional” materials and methods like UV curing resins, composite structures and vacuum bagging techniques. We saw that UV curing was a cleaner technology and was ideal for field repair. We also knew it was better for manufacturing, the environment and the economy but it would be an uphill battle convincing the existing manufacturers to change. 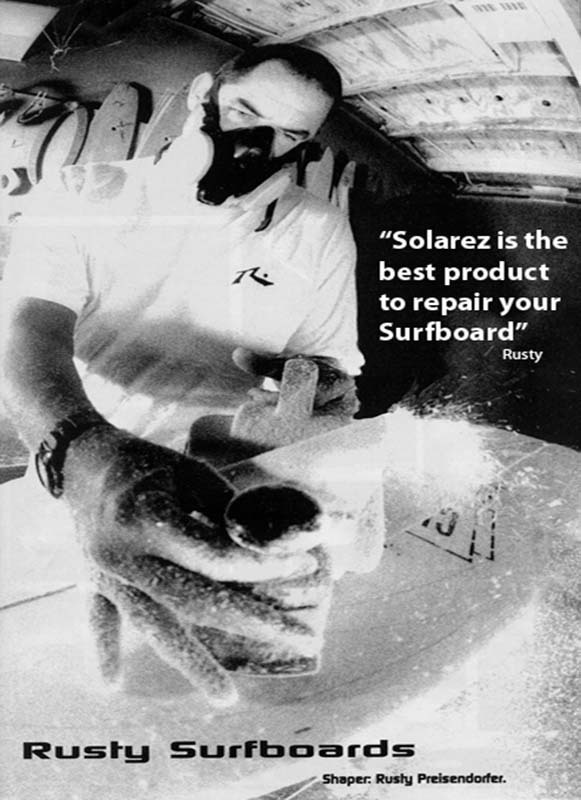 The first Solarez polyester putty field repair was a smash worldwide. We continued manufacturing a small amount of boards and sought to introduce the techniques to the industry. 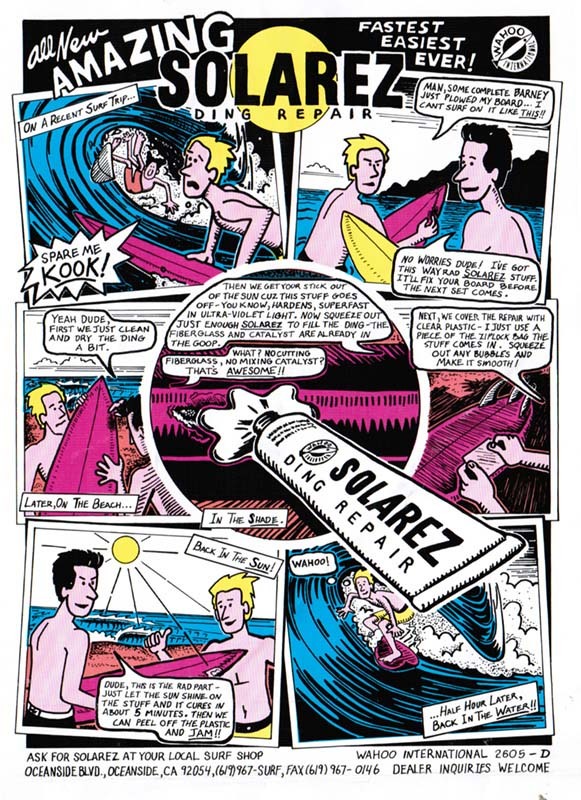 In 1993 Wahoo International, Inc came to Surfrider Foundation seeking an endorsement for our UV-Cure resin “Solarez,” as it could reduce VOC emissions in the surfboard manufacturing industry by up to 97%. After about six weeks of deliberations, Surfrider came back to us to say that “they could not endorse a chemical”. Literally a few weeks later, we saw the Surfrider newsletter with a cute little Harbor Seal on the cover and an endorsement to a beer company that made 6-Pak plastic snap rings that degraded so as not to entangle the cute little pinipeds. I guess it’s a given that the surfboard industry consumes beer but not polyester resin. Since the 80’s, Solarez has diversified to over 20 formulas, radically improving (and cleaning) the manufacturing of sporting composites, cabinetry, music instruments, fly fishing, jewelry, hobbies and crafts and paving the way of exciting new technologies like 3D Printing. In 2012 Wahoo International earned the SBA “Exporter of the Year Award”. 2011,’10 and ’09 was a challenging economic climate. Our products excelled in sales around the world and this is clearly a function of quality. In times like these, people scrutinize all the more and we have prevailed. We thank everyone in the some 36 countries that we service. It’s an honor. Read the story here.